Jaded Blossom: You Paint My Heart Happy! 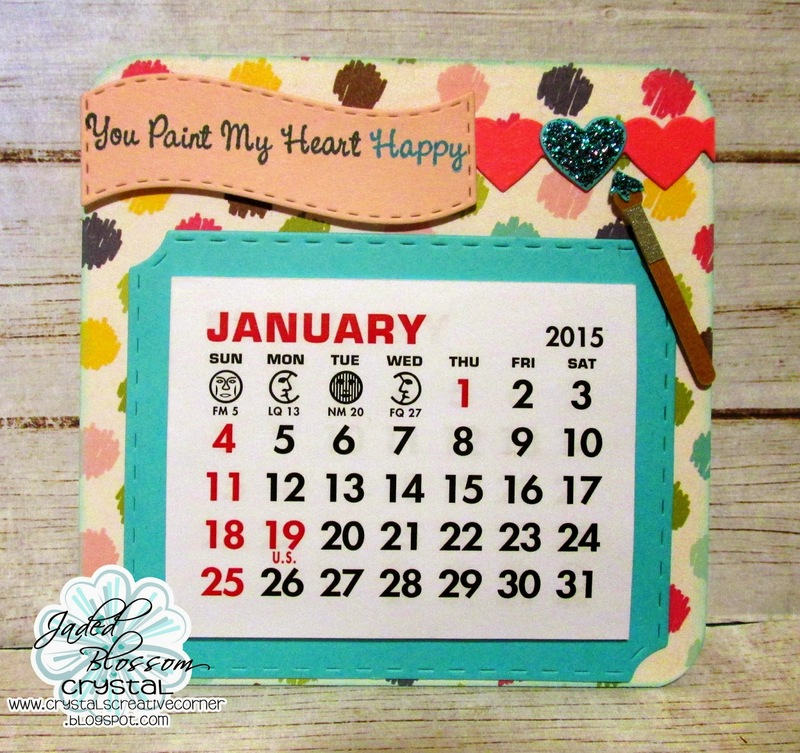 I am happy to share with you a calendar that I made using one of my favorite Jaded Blossom stamp sets -- Dream in Color! I wish you all the best in 2015! Happy Crafting! What fun! Love the brightness, puts a smile on my face! !